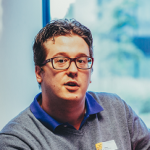 Jan Mulkens is a Microsoft Data Platform & Business Intelligence Consultant at Ordina Belgium. While his interests are broad, he has a passion for creating data warehousing and business intelligence solutions that help the business get insight in, and take action on, their data. 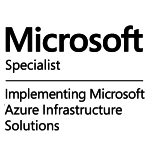 His main experience lies with SQL Server and the rest of the Microsoft on-prem BI Stack (Excel, SharePoint, Reporting Services, Analysis Services). Recently he also has been digging into Azure and the added value it brings with Power BI and the different parts that make up the Cortana Analytics Suite. This blog is a place to gather and share knowledge and experience with anything of interest to anyone coming in contact with Business Intelligence. That includes topics ranging from SQL Server and Business Intelligence in general to Agile, Scrum, DevOps practices and even Data Science. The posts, opinions and views expressed on this website are my exclusively personal views and do not necessarily reflect views of my employer. The comments on this site are currently not moderated, but even so the opinions expressed in those comments are not necessarily shared by me. Having said that, I’m fully aware of this Forbes article and so should you be. Hi Jan, I’m looking for the presentation slides that you demonstrated at Data Relay yesterday. I’m unable to locate these from your site. Please could you advise thank you.